Blues forward Nicolas Anelka has reportedly agreed a deal to join Chinese club Shanghai Shenhua in January. The Chinese Super League outfit are thought to have offered the 32-year-old a three-year contract, worth in excess of £6m. However, reports indicate the French striker has opted to sign for two years and will look to push the move through in the new year having handed in a transfer request last Saturday. 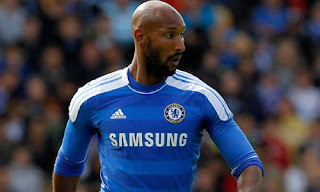 Club chairman Zhu Jun told the Shanghai Daily they were talking to Anelka and it now looks as though Shenhua have got their man. Zhu Jun added: "We started to talk about every detail from the first minute of the negotiations. The whole contract is made up of details. It's comprehensive and complicated, involving the player's image and the commercial co-operation."